Simply send it with a couple of clicks. 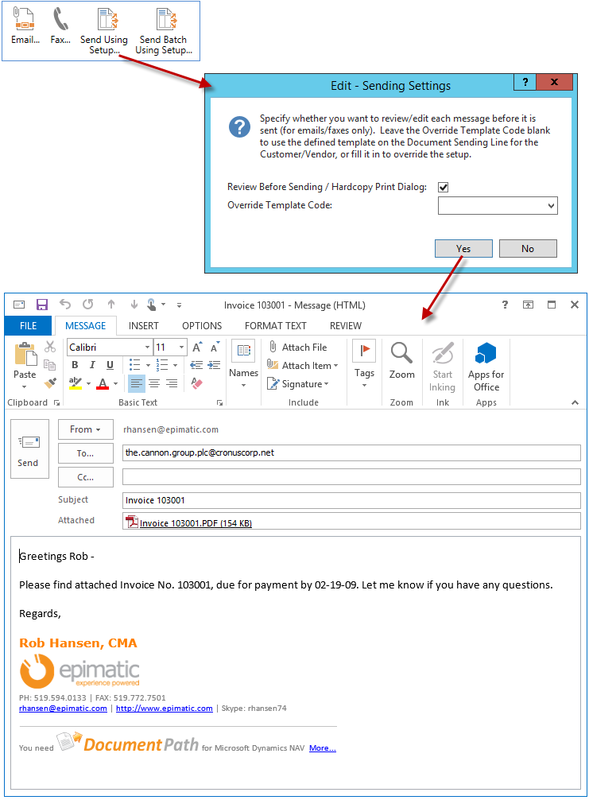 With the sending actions DocumentPath adds to your NAV database, you’ll never save to PDF and attach to emails again. No more looking up recipient addresses or forgetting that the customer/vendor has requested documents a certain way. Click an action, click Yes to confirm, and a fully formatted ready-to-go message is generated with the document attached. Stop spending time getting documents out once they are entered or posted in NAV – let DocumentPath handle it for you.